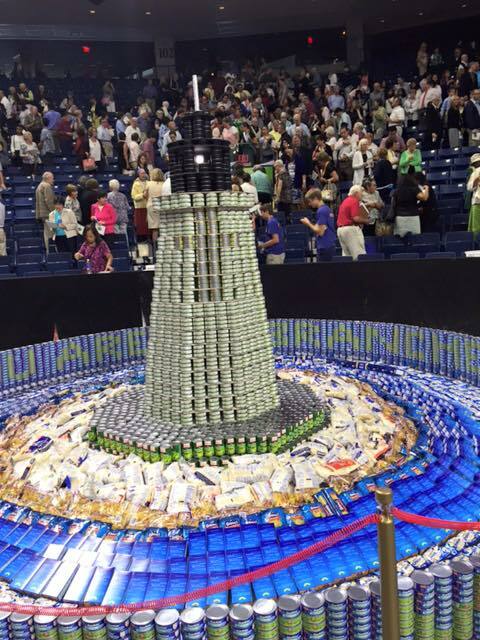 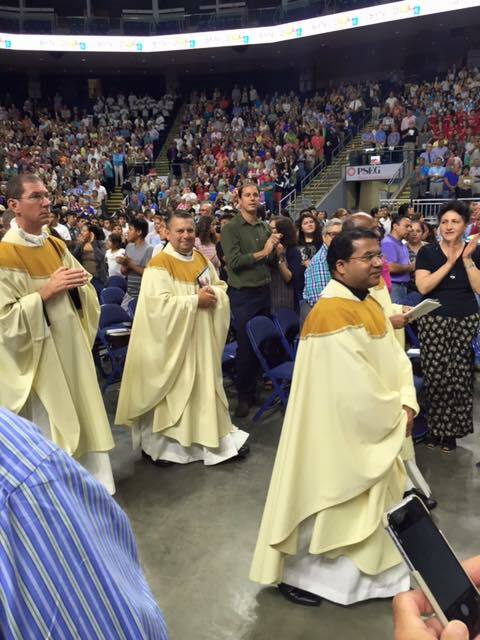 BRIDGEPORT—The Catholic Church affirmed its presence in Fairfield County in a resounding way on the morning of September 19, 2015 as 8,000 Catholics gathered at Webster Bank Arena for the Synod Celebration Mass. 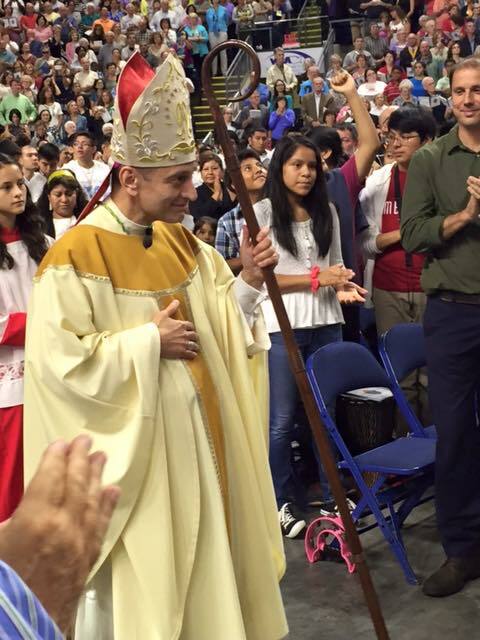 The changes signed into decrees by Bishop Caggiano at the end of the Mass are expected to transform the life of the local church at every level, from the way it teaches the faith to the young to the quality of its liturgy and music, the future of Catholic schools, the vitality of its parishes, and continuing education for its priests. 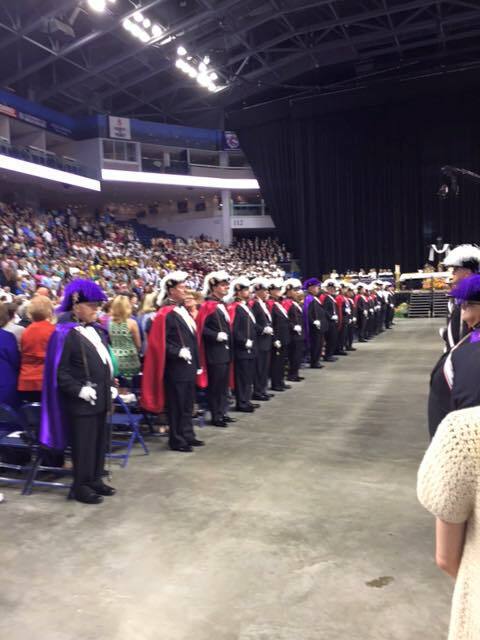 With a 300-member adult choir and the music of many ethnic choirs throughout the diocese, the morning took on a festive and joyous note as people clapped their hands, sang along and applauded enthusiastically. 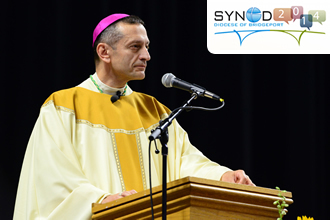 The Mass was the largest gathering of Catholics in the diocese in decades as people came together to celebrate the work of the Synod and its plan for the future of the diocese. 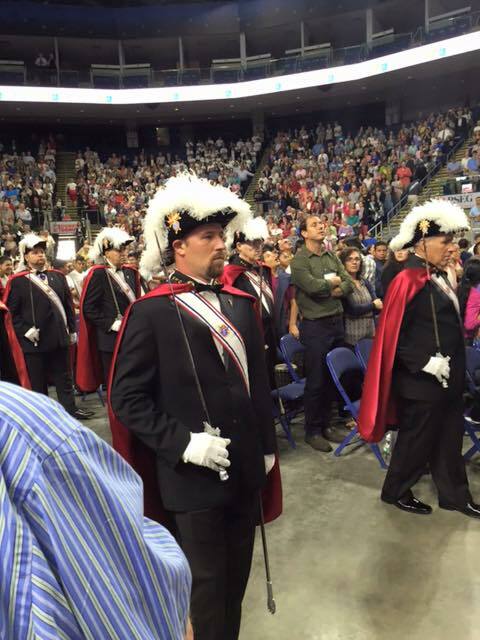 More than 600 priests, deacons and religious in the diocese were also in attendance. 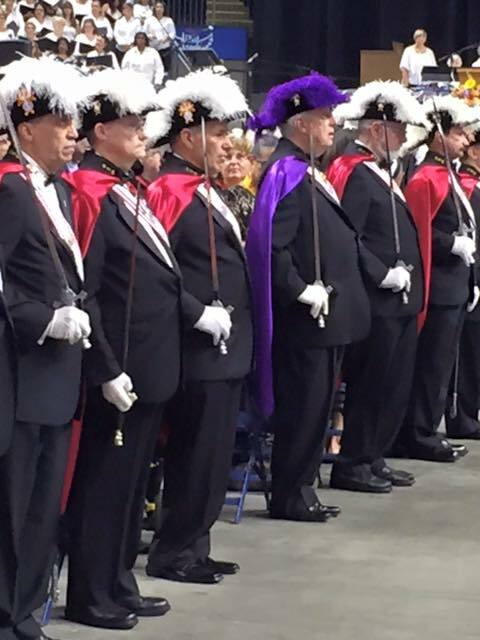 Approximately 10 Fourth Degree members of Bishop Fenwick Assembly 100 in Norwalk dressed in Regalia for the Mass, led by Council 14360 Grand Knight George Ribellino, Jr. 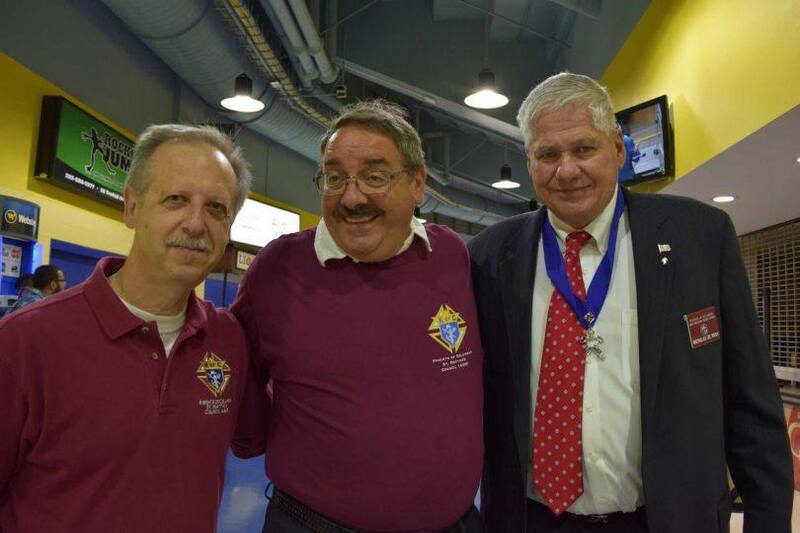 Many other Brothers from Council 14360 attended the Mass with their families and several busloads of parishioners from St. Matthew Church in Norwalk.